The term “change management” refers to the process by which organizations undertake variations in their business strategies and processes in order to become more innovative, improve flexibility and more readily adapt to a constantly evolving global marketplace. For supply chain operators, change management is absolutely critical; the way in which you react to certain events and improve your business has a hand in determining how you succeed as a business. Managing change isn’t an easy process, however. A recent study found that 48 percent of companies are only somewhat or not at all prepared to undergo business transformation. There are many factors involved in such an undertaking, such as employee relations, system operations and time management. It isn’t just an implementation of new tools: For these strategies to succeed, a marrying of people, process and technology must take place. First and foremost, change management depends on the people involved with the operation, beginning with the senior leadership, and requires getting them on board. If the desired change isn’t communicated effectively or within the right amount of time, disconnect can occur, hindering even the most carefully planned improvements. Technology isn’t the only aspect of change management, but it is a key piece of the puzzle. Making sure the right processes are in place to support any organizational or digital change is important, as well. Forbes contributor and former Navy SEAL Brent Gleeson noted that in order for change management activities to succeed, strategizing is key, and time management even more so. Everything has to happen in its own time, “[n]ot too fast and not too slow.” Putting a proper strategy in place is critical in order to ensure the team is prepared for the change taking place. 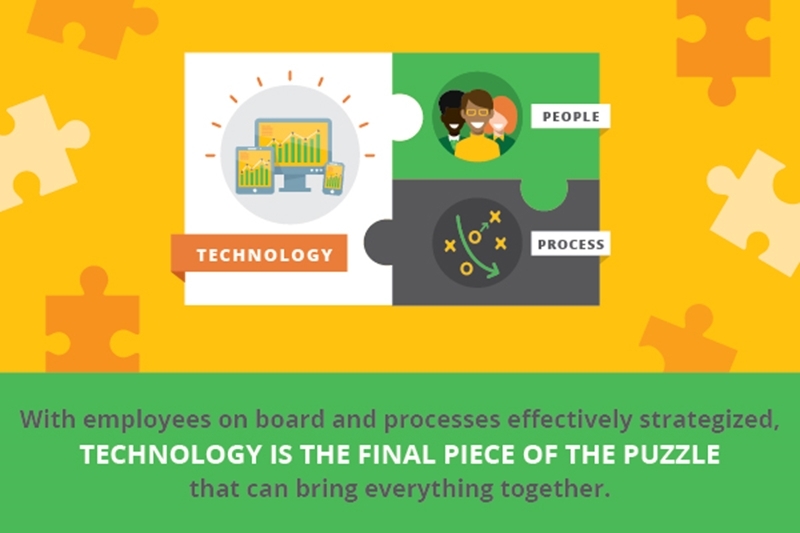 With employees on board and processes effectively strategized, technology is the final piece of the puzzle that can bring everything together and help keep everything aligned. The right change management tools can help organizations maintain compliance in a rapidly changing global landscape, as well. Houston Chronicle contributor Cindy Beck noted that operational changes can be managed more effectively when technology is involved. In fact, it can even help companies reduce costs as they examine business processes and pore through customer data. In addition, technology allows organizations to strengthen their internal and external supply chain operations and make decisions more quickly and accurately. This in turn leads to better profits and happier customers. When people, processes and technology are all working in sync, organizations can enact their change management strategies successfully. Inspirage’s Management Consulting team can help you develop a capability-focused plan so that all of these characteristics work in unison to orchestrate effective change within your organization. To learn more about our Change Management strategy, please download our white paper or get in touch with Inspirage today for more information about how we can help your change management strategies become successes. This entry was posted in Management Consulting. Bookmark the permalink. Joseph Alexander is a Senior Consulting Manager within the Management Consulting team. Throughout his career, Joseph has been known for his supply chain operations and project management experience. His experience covers major industry segments including retail, food and beverage, high tech, consumer products goods, and manufacturing operations. Joseph is also a certified PMP and has managed several successful projects providing value to clients in areas of process improvement, change management and project management.